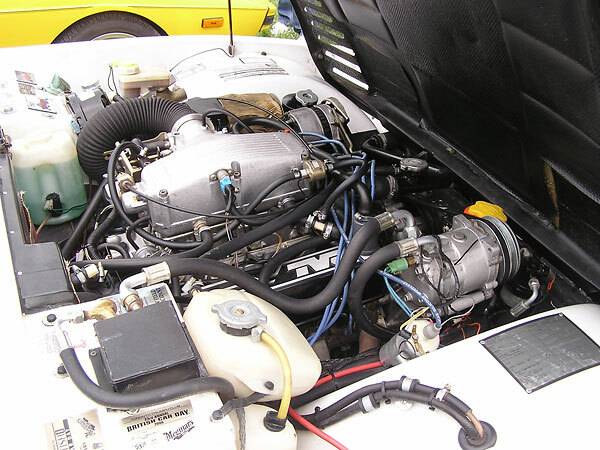 Engine: 4441cc Rover aluminum V8 engine, producing a factory-rated 320bhp and 310 lbs/ft. Rover fuel injection. Transmission: Borg Warner T5 5-speed. Chassis: tubular steel spaceframe, with "outriggers" (factory powder coated). Front Susp. : power assisted steering. Rear Susp. : independent rear suspension. 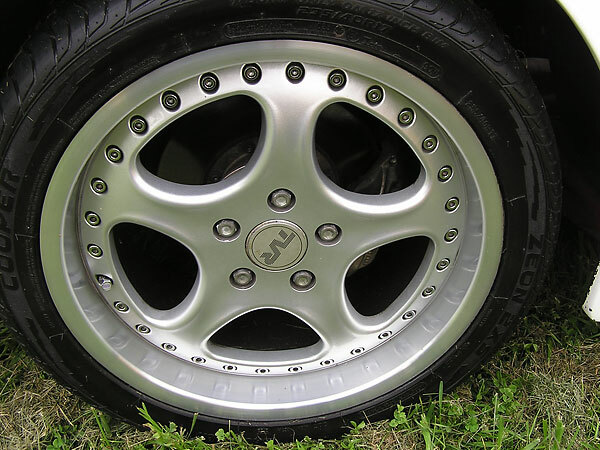 Brakes: four wheel disc brakes. Body: fiberglass "one piece" body. Performance: 0-60mph in 5.2 seconds. Comments: SE stood for "special edition". The 450SE was the fourth of five models in a series that spanned approximately seven production years. 450SE was offered in 1989 and 1990, whereas the SE range was offered from 1984 through 1991. (The 400SE came slightly later, but had a lower model number because the model number designations indicate engine displacement.) The 450SE had the biggest engine in the SE series. All SE's are essentially similar in styling and chassis engineering, although details (such as air dam shape) changed somewhat. 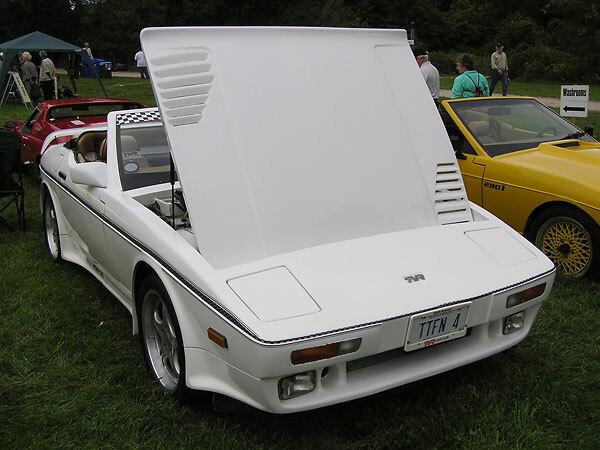 The "SE wedges" were derived from TVR's "Tasmin" model which started production in 1980 and continued in various variants through 1988. The Tasmin model, however, featured a Ford 2.8L V6 engine. (A few were made with the Pinto four-cylinder engine, but that wasn't a popular option.) Besides their engines, many of the Tasmin's mechanical components were sourced from Ford cars, including specifically the Cortina (front suspension), Sierra (gearbox), and Granada (front brakes). 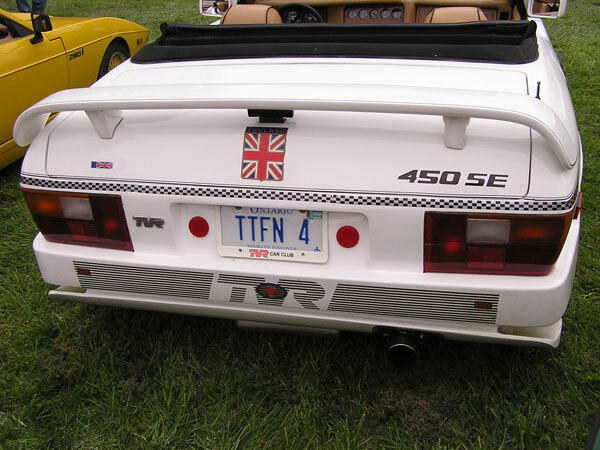 In 1983, fully aware of the limited performance potential of the Ford V6, TVR introduced a more powerful model based on the 3.5L Rover V8. 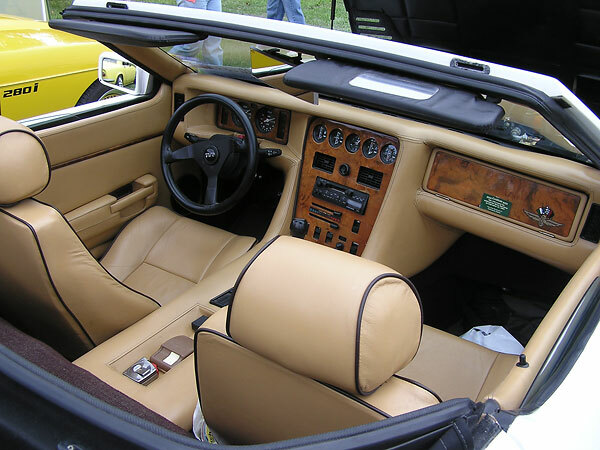 They called this model the "350i", and for TVR it was a great success. The 350i had an updated and much improved front suspension. The "SE" wedges share the 350i's chassis and suspension, but feature hotter engines.